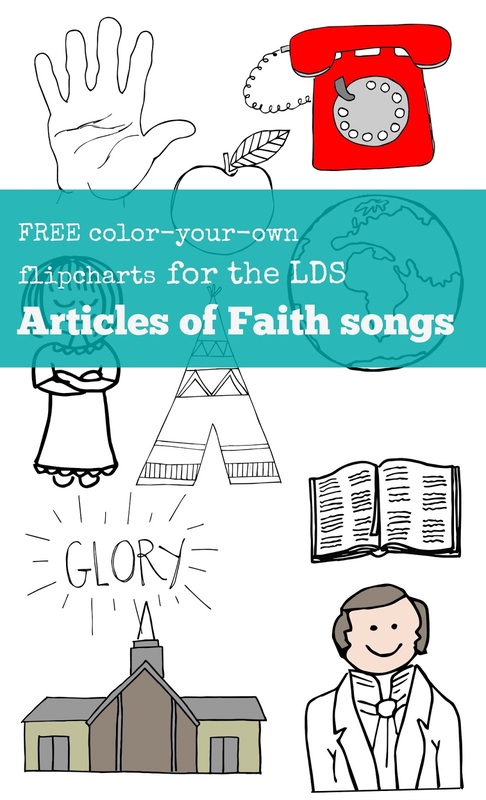 I'm so happy to share some more LDS Primary Music leader flipcharts today! These flipcharts are for all 13 of the Articles of Faith songs. 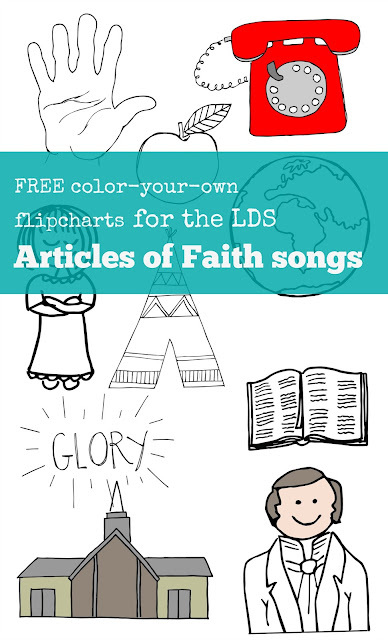 I hope they are useful as you teach the children in your Primary (or your own kids) the Articles of Faith! The graphics I drew are simple and black and white. (Ink is pricey!) 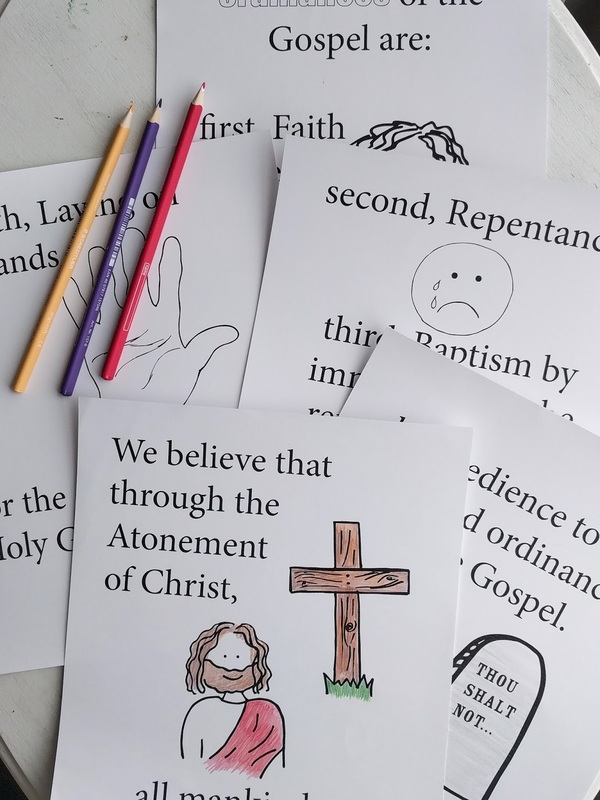 You can color these flipcharts yourself, if you want, or leave them black and white. I've used them both ways and they work well either way. You can download all the coloring pages for free by clicking ADD TO CART below. I set up the cart so that you can donate as little (even nothing!) or as much as you'd like. I hope that if you find these helpful, and if you use them in your Primary, you'll support my work. You can find the master list of all my FREE flipcharts here.